I feel like I've been hit by a truck. It could be the aftermath of many things: being in four countries in one 36-hour day, catching a cold from breathing the same air as all my travel companions for hours and hours, the 60 degree weather that Seattle has offered up since my return, not exercising in 3+ weeks...the choices are endless. Most likely, it's coming down from all the delicious, greasy and/or sugar-laden Southeast Asian foods I've eaten this month. Not to mention the beer. The generic, one-note, international lager that is usually amazingly refreshing but sometimes (particularly after 3 weeks of no other alcoholic beverages) devolves into terribly disgusting. I first encountered the generic international lager in China. Harbin Beer, China's earliest beer (中国最早的啤酒) remains my favorite. How Tsingtao managed to corner the American market on Chinese beer is beyond me. Hapi is so much better. The green-bottle varieties in China are endless. And so cheap. I'm a you-get-what-you-pay-for kind of gal, so mediocre beer that cheaper than Sprite is fine with me. My travels later took me to Greece, where I enjoyed Mythos. Yep, another lager. And who can ignore the ubiquitous Mexican variety: Corona Extra, La Cerveza Más Fina. Which is, interestingly enough, the only variety I enjoyed first in the U.S.
Point is, I've always thought quite fondly of these pale-lager friends around the world. 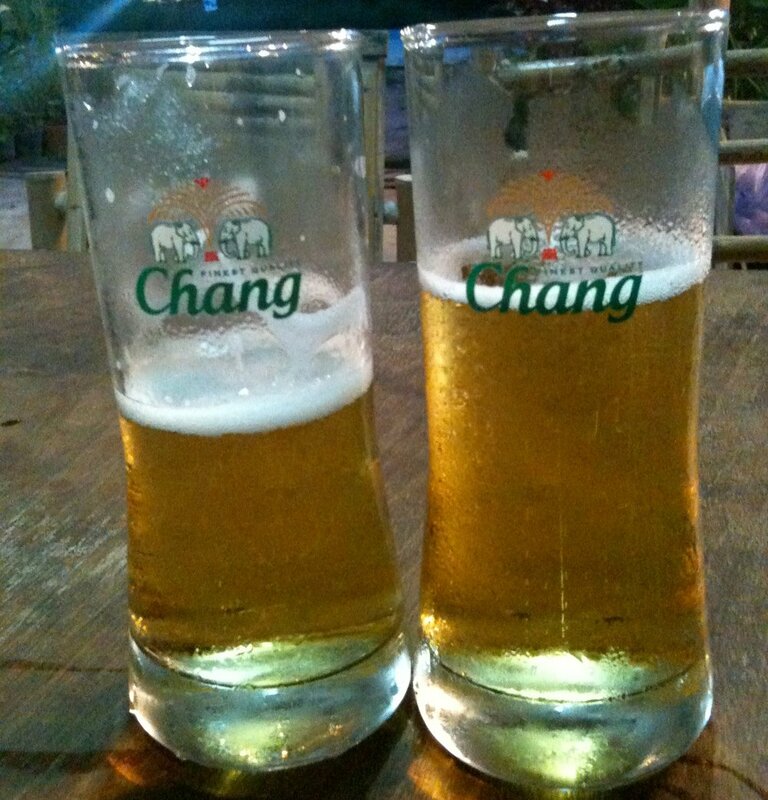 I was not at all dreading drinking them during my recent Southeast Asian culinary adventure. In fact I was even looking forward to it. 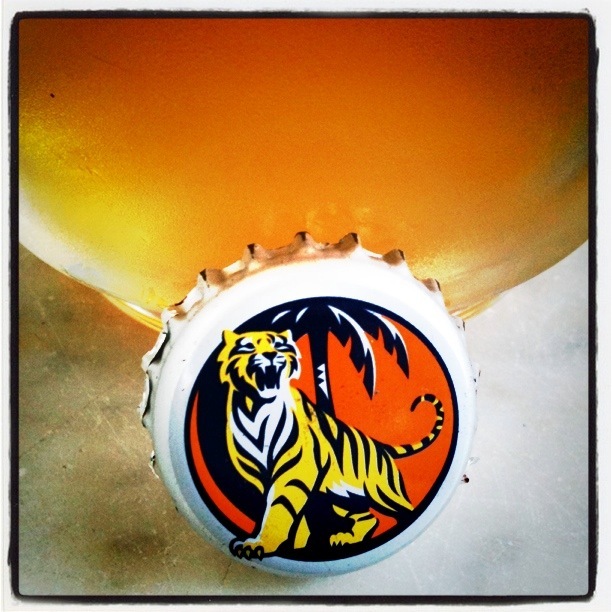 But once out there in the land of no ales, somewhere between the Carlsberg, Blue Girl, Tiger, Singha, Leo, & Chang, the lager lost it's luster. Could it be? Have I finally come to like hops? And flavor? Am I officially a microbrew-loving East Coaster/Seattleite? It was a proud revelation. But unfortunately it only made the generic international lager taste worse.